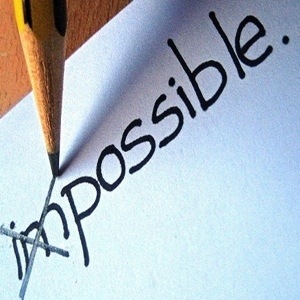 When I saw the picture of Impossible I saw I’mPossible!! By inserting a simple ( ‘ ) “apostrophe” (although that word is not so simple) between the i and m the word impossible just took on a whole new meaning…. I’mPossible and so are YOU!